Everything you need to make your next move a Hill Country Breeze! 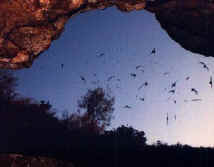 "Gem of the Hill Country"
Eckert James River Bat Cave Preserve: Lots of bats! Fort Mason: Established in 1851 as part of a line of army forts from the Rio Grande to the Red River to open new areas and provide protection for settlers. A training ground for generals. Historic Mason County Courthouse: Downtown Mason, Greek Revival style set on a rare 'Double Block' Courthouse Square (two sides are two blocks long), one of the few in the State of Texas. Odeon Theater: Restored historic theater. One movie at a time. Sandstone Cellars Winery & Mason County Vineyards: An insightful boutique winery just off the town square in Mason. Tasting room. 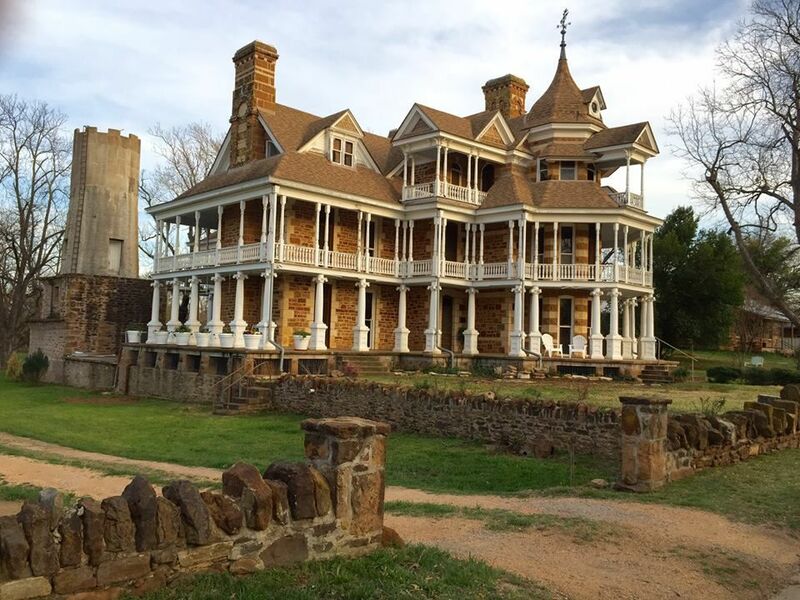 Seaquist Victorian Mansion: Built of sandstone, this 22-room house is elaborately detailed with carved limestone. Llano River: Mason County's largest public outdoor resource. Offers river-front lodging, camping, fishing, swimming, kayaking, canoeing, tubing and other types of river recreation. This beautiful treasure has historic significance in the development and life of this area, and continues as a vibrant source of tourism and local recreation. Every Thur-Sun, May-Oct: Eckert Bat Cave: 6p-9p, See details below. HISTORY: Handbook of Texas Online: "It grew up around Fort Mason, established in 1851, although some settlers were already in the area before that date. One of the first, William S. Gamel, is thought to have arrived around 1846. Peter Birk and Henry Hick were among the first German settlers who moved west from Fredericksburg. Near the site of present Mason is Gamel Spring, where John O. Meusebach is thought to have signed a treaty with Comanche Chief Ketemoczy in 1847. The area was a favorite Indian campsite, and Gamel Spring was later used as a source of water by Fort Mason. Early settlers gathered around the fort, attracted by the opportunities for employment and protection from Indian attacks. Other settlers were soldiers from the fort whose terms of enlistment had expired. A sutler's store and blacksmith shop formed the nucleus of the early town when they were moved from the actual fort on Post Hill to the nearby community of Mason. Shortly after the fort was occupied, mail service was established from San Antonio to Mason, and then on to the west. Supplies were also shipped from San Antonio by mule wagon. The Fort Mason post office, one of the county's first, was established three miles from the fort in March 1858 by George W. Todd. The name was changed to Mason in June of that year, and the office was eventually moved into the town itself. One of the first stores in Mason was a picket building erected by W. C. Lewis, who sold ammunition, groceries, and whiskey to soldiers and settlers. A second store was opened around 1860 by James E. Ranck, known as the "father of Mason" because of his efforts to develop the town and draw settlers to the area. He and Ben F. Gooch bought 5,000 acres of nearby land to lease to sharecroppers for cotton growing. In March 1861 the fort was surrendered to Confederate authorities, but it remained virtually unmanned during the Civil War, except for local militia and rangers. During the war years settlers suffered severe Indian attacks, and most of the families in the area congregated in or near the fort for protection. Mason was made the county seat by election on May 20, 1861. In 1866 the fort was reoccupied by federal troops, and there was a resurgence of settlers into the area. The federal government built the first telegraph line in the county through Mason to the western forts; the line was made available to the public until 1868, when the fort was permanently abandoned. When the fort was deserted, both during and after the Civil War, nearby residents appropriated equipment and building materials to use in Mason, until eventually almost all traces of the installation had disappeared. An election was held confirming Mason as county seat, on August 26, 1869, and land within the town was donated for county purposes on July 13, 1870, by William and Caroline Lockhart and John and Kate Gamel. Shortly after the Civil War a stage route and mail line was established through Mason from San Antonio to El Paso. A picket house built by S. F. Lace Bridges served as the earliest hotel. Bridges later built the Mason House, a popular stage stand and hotel for a number of years. During the post-Civil War period, beef was so cheap that cattle were killed for their hides, and the Ranck store became a center of the hide trade. Shortly after, the demand for meat in the eastern and northern markets caused prices to soar, and by the 1870s Mason was the nucleus of a thriving ranch economy. Early schools were taught by William Poffard at the home of W. C. Lewis, and by Mrs. Lizzie McGuire in the Mason House hotel. James Ranck and John Lemburg built a mill and gin on Comanche Creek sometime before 1870, which burned in 1890. By 1869 the first stone residences were built in Mason; by 1890 nearly all the buildings were of stone. 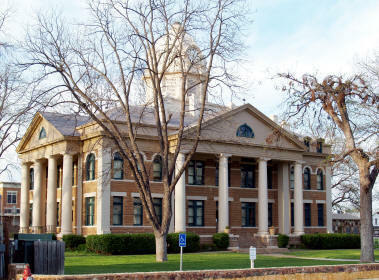 The first county courthouse and a jail were built in 1869. Previously, court proceedings had been held under an old live oak tree near the town well on the northeast corner of the town square. In 1882 the jail was replaced, and again in 1984. The courthouse and all the county records burned on January 21, 1877; a new building was completed by 1878. The oldest church in Mason was probably the Lutheran church organized on February 15, 1872, by Rev. H. Huber; shortly thereafter a building was erected that served as church and school. The Baptist church was organized that same year, and within the next decade numerous other churches of various denominations were established. One of the oldest church buildings surviving into the twentieth century was the Catholic church, built in 1876. James Kibbee and W. S. Vickery published the first newspaper, the Item or News-Item, beginning in 1877. V. N. Loring took it over in 1886 and renamed it the Mason News. Eventually it became the Mason County News, which was still being published in the mid-1980s. A drought in 1887 was so severe that the county had to apply for state aid to assist destitute citizens, but the town's economy suffered no permanent decline. The town's first bank was organized by F. W. Henderson; it later became the first National Bank of Mason. Anna Martin became the first woman bank president in Texas when she founded the Commercial Bank in July 1901; this bank was still in operation as of 1977. In 1900 an entire row of buildings on the north side of the public square burned, including the post office and a number of businesses. This event encouraged the organization, on September 19, 1900, of the first Mason volunteer fire department, which continued into the mid-1980s. The courthouse was replaced in 1909. In December 1902 the first telephone in the county was installed in the county judge's office in the courthouse. Public utilities were slow to develop in Mason, but the first electric light plant was in operation by 1898, providing limited services, and the West Texas Utilities Company began providing electricity in 1925. Periods of drought during the 1940s and 1950s caused public utilities to boom as the town shifted from the use of private wells to a municipal water system. In 1923 Mason was the largest town in Texas without a railroad, despite numerous attempts over the years to get one. After the increase of automobile use and the development of the Puget Sound-to-the-Gulf Highway, the need for a railroad was minimized, and by the 1930s a number of highways ran through the town. On July 5, 1951, the live oak tree that stood in the town square where the old town well had been had to be removed to prevent interference with traffic. By the 1970s the Mason County Airport, located three miles southeast of town, served the community. All of the rural schools in the county were consolidated with the Mason schools in 1946. This and the development of improved farm roads caused much of the population to concentrate in the county seat. In 1945 Mason incorporated, after several previous attempts, partly in order to build and operate its own electrical system. The Mason Memorial Hospital was opened in 1949 and provided medical services to the entire county. For most of its history Mason has been primarily a ranching community. Because of the great interest in agriculture, the 4-H Club and other agricultural organizations have been a major concern of both town and county. In 1907 the Mason Business Men's Club was organized; it became the Mason Chamber of Commerce on June 1, 1925. The Maverick Club, which became the Junior Chamber of Commerce in December 1935, organized the Mason County Fair Association, which manages the fair park, established in 1938 and located southeast of town on the San Antonio highway. The annual Mason County Fair and Rodeo draws tourists from all over the state. Mason also attracts many hunters, fishermen, and campers in season. Tourist attractions include the Sequist Mansion, built in the late 1880s by E. M. Reynolds and opened to the public in January 1975; the Mason Bat Caves; and the Fort Mason Museum, which consists of the old officers' quarters restored by the Mason County Historical Society and dedicated in July 1976. The Old Grammar School was renamed the Historical Building and has since housed the county library, a museum, and county offices. The historic Gamel Spring nearby was being used to feed the town swimming pool. Mason has been the largest town in Mason County for most of its history. Since 1900 its population has generally ranged between an estimated 1,200 and 2,000 people; the 1982 population was 2,153. The town is the center of the county for business, education, and social life. In 1990 the population was 2,041. The population grew to 2,134 in 2000." FINE ARTS ASSOCIATION OF THE HILL COUNTRY: 325-347-4616; POB 1692, Mason, TX 76856. A 501c3 non-profit organization. Fort Mason City Park: 325-347-6449; On US-87 S of Mason Square with 29 RV hookups, all types of camping. Hiking trail, community building, ball fields. Local: 325-347-6459; 505 Moody, Mason, TX 76856. TEXAS DEPT OF TRANSPORTATION (TXDOT): 512-463-8588; 125 E 11th St, Austin, TX 78701. www.txdot.gov. Email: asktxdot@txdot.gov Provides for a safe, reliable, and integrated transportation system that enables the movement of people and goods. Responsible for the design, location, construction, and maintenance of area roadways and aviation. FREDONIA PEANUT COMPANY & HILL COUNTRY GRAINS: 800-429-7688; 325-429-6211; FM 1222 & RR-386, Fredonia, TX 76842. www.fredoniapeanut.com. 1/4 mi S on US 71 between Llano and Brady on RR-386; 15 mi N of Mason on RR-386 & 1222. 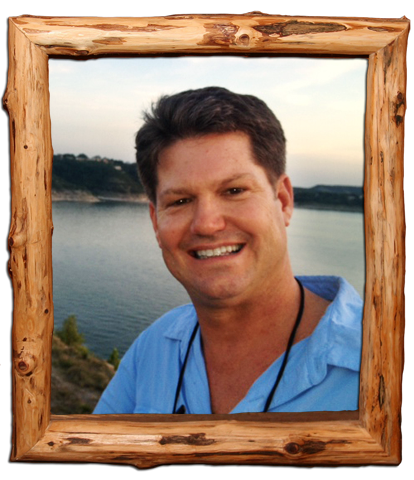 HAYMAKERS: Del Roy Reichenau, Gene Geistweidt, 325-347-5608, 325-347-6236; Mason, TX 76856. A VISION TAXIDERMY: 325-347-6783; 237 San Antonio Hwy, Mason, TX 76856. www.avisiontaxidermy.com. On US-87 S of Square. HUNTER GEISTWEIDT: 325-347-2843; Mason, TX 76856. Year-round deer feeder filling service. (THE) WILDLIFE RANCH HUNTING & SUPPLY STORE: 325-347-8808; 5400 TX-29 W, Mason, TX 76856. www.huntingandsupply.com. At intersection of US-87, TX-29, and US-377 just N of town. 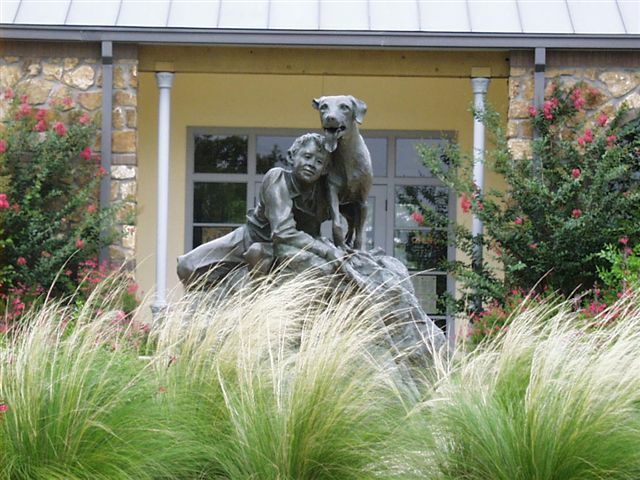 Includes wildlife museum with one of the largest collections of native and exotic game mounts in the Texas Hill Country. Corn, timers & feeders, game calls, cammo clothing, gifts, hunting & fishing licenses, and more. BLUE MOUNTAIN PEAK RANCH: 325-347-7144; 3699 Blue Mountain Ln, Mason, TX 76856. www.bluemountainpeakranch.com/id3.html. Privately owned ranches available to the public, located 17 miles SW of Mason off RR-1871. Offers: camping, hiking, mountain biking, wildlife viewing, hunting. Guided kayak trips on the Llano River. See (HOMER) MARTIN GUEST RANCH in lodging. ZESCH RIVER CABIN: 325-347-5531; Mason, TX 76856. 10 mi SW of Mason on James & Llano Rivers. Contact "1st Choice" reservation service below. KYRT	97.7 FM: Mason, TX 76856. Munbilla Broadcasting Properties, Ltd.
MASON COUNTY SOB HONEY: 713-598-1505; Mason, TX 76856. Facebook. Local bee honey available for sale at Lone Star Sorage. 100% local & unfiltered. SALLY MARTIN - PANACEA: 512-810-2496; 126 Ft McKavitt, Mason, TX 76856. www.panaceamason.com. MASON COUNTY HISTORICAL MUSEUM: 325-347-0507; Brings history alive with displays from prehistoric times to current ranching and banking. View period events: Mason County War, establishment of Fort Mason (a training ground for generals), and finding largest topaz in North America. 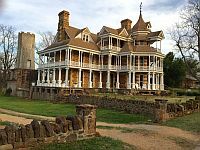 Learn about Robert E Lee's command, John Meusebach's treaty with the indians, Fred Gipson, author of "Ole Yeller" and Johnny Ringo's part in the Mason County War, listed as one of the top ten feuds in Texas. Gift Shop includes sale of surplus memorabilia. Free admission, non-profit organization, donations appreciated. Note: Also see historic Fort Mason and the Seaquist Mansion below. HABITAT FOR HUMANITY: https://www.habitat.org. A nonprofit, ecumenical Christian ministry that builds a decent place to live with people in need regardless of race or religion. Welcomes volunteers and supporters from all backgrounds. MASON FOOD BANK: Mason, TX 76856. (THE) NATURE CONSERVANCY: 800-628-6860; www.nature.org. The leading conservation organization working around the world to protect ecologically important lands and waters for nature and people. OPERATION ORPHANS: 325-347-6745; POB 535, Mason, TX 76856. www.operationorphans.org. A 501c3 non-profit that provides hunting weekends for boys and girls from child care and foster homes. RED HATTERS: www.redhatsociety.com. A global society of women that supports and encourages women in their pursuit of fun, friendship, freedom, fulfillment and fitness. RIATA CLUB: 325-347-5789; A non-profit service organization. 400 Broad St, Mason, TX 76856. www.seaquist.org. Facebook. Built of sandstone, this 22-room, 15 fireplace house is elaborately detailed with carved limestone. Built in the late 1880s by E. M. Reynolds. Historical marker. Seaquist House Foundation: 501c3 non-profit. Goal is to preserve and restore this architectural Victorian masterpiece to its former glory and encourage tourism to the area. Volunteers and donations of funds and materials welcome. 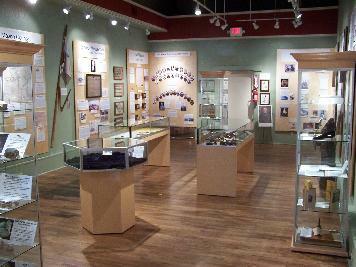 TEXAS HILL COUNTRY HERITAGE ASSOCIATION: 325-347-6683; POB 941, Mason, TX 76856. http://thcha.org. Supports the social welfare and economic well-being of Mason County and the surrounding Texas Hill Country by protecting private property rights and the environment through research, education, publications and programs; to identify pertinent community issues; inform the public and motivate citizens to respond; and to encourage and enhance the role of local governments. CITY OF MASON ANIMAL CONTROL: 325-347-6449; 124 Moody, Mason, TX 76856. City Department Website. http://awos.petfinder.com/shelters/TX1081.html. Shelter facility is small. Adoptions available. Pets must be seen by appointment. We are not a NO KILL shelter so time is important, we try and save as many as we can. SECOND CHANCE - MASON ANIMAL RESCUE: 325-347-6929; Mason, TX 76856. www.secondchancemason.com, Facebook. Mission is to advocate for the humane treatment of animals and stray animal control, facilitate a spay and neuter program, prevent abandonment of animals, and provide education in animal care, behavior and humane treatment of animals. Dog and cat adoptions. (THE) SQUARE PLATE: 325-347-1911; 212 Ft McKavitt St, Mason, TX 76856. WILLOW CREEK CLUB: Located at above cafe. Full bar. MASON COMMUNITY THRIFT STORE: 325-347-6551; 206 Moody St, Mason, TX 76856. Located SW corner of Square. Hrs: Mon-Fri 9a-4p, Sat 10a-4p. Non-profit, all proceeds benefit non-profit projects in the Mason community. FORT MASON CITY PARK: 325-347-2064; US-87, Mason, TX 76856. S of Mason Square. 29 full RV hookups, all types of camping. Camping spots available under shady pecan trees on the edge of golf course. Ball fields, golf course, driving range, tent camping, pavilion, playground, restrooms, showers, laundry facilities. HILL COUNTRY INN: 325-347-6317; 454 Ft McKavitt St, Mason, TX 76856. Motel. Two blocks N of Square. 8 full RV hook-ups, WiFi, cable, laundry facility and outdoor pool. LLANO RIVER RV PARK: Closed. 866-640-9696; 37 Keller Levino Rd, Mason, TX 76856. www.llanoriverrvpark.com. 13 mi S of town on US-87 at the Llano River bridge. 46 RV sites with full hookups, community center with showers, tent sites, laundry room. GREENWAY RECYCLING, LLC: 325-218-2856; Mason, TX 76856. Facebook. Residential recycling pickup service. HILL COUNTRY TELEPHONE CO-OP (HCTC): Ingram HQ: 800-292-5457; 220 Carolyn, Ingram, TX 78025. www.hctc.net. Land lines, phone systems, internet, security systems. MASON GAS COMPANY: 325-347-6333; 1004 San Antonio Hwy, Mason, TX 76856. www.masongascompany.com, Facebook. Propane, gas plumbing, cellular phones, internet, trailer sales and UPS services. WEST CENTRAL WIRELESS: 800-695-9016; www.wcc.net. www.westcentral.com. Wireless internet & cell phone service. COMPASS ROSE CELLARS: 512-965-2878; 113 Austin St, Mason, TX 76856. www.compassrosecellars.com. ROBERT CLAY VINEYARDS: Mason, TX 76856. www.robertclayvineyards.com. Produces grapes for area wineries. SANDSTONE CELLARS WINERY & MASON COUNTY VINEYARDS: 325-347-9463; 211 San Antonio St, Mason, TX 76856. www.sandstonecellarswinery.com. Boutique winery and wine bar just off the town square in Mason. Tasting room.